A tall, cool collins is my favorite weapon against a hot day. This cocktail was an excuse to use the gin I infused with cucumbers and the basil I’ve been growing in a container on my deck. And it was the most refreshing, satisfying drink I’ve had in a long time. 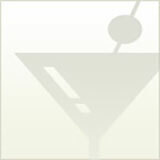 The cucumber gin was extremely easy to make and adds a lightly sweet flavor to the cocktail. 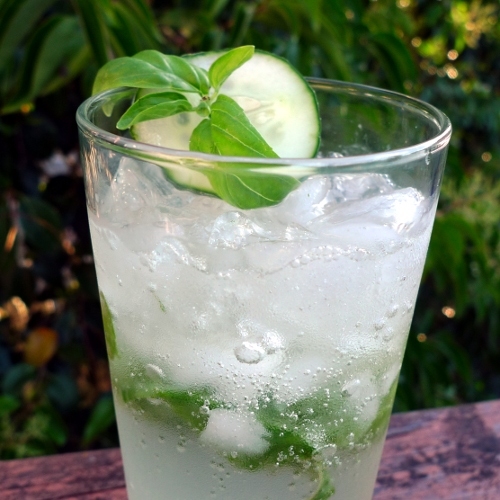 Muddle the basil leaves and simple syrup in the bottom of a collins glass. Pour in the lime juice and gin and stir, then add some crushed ice. Top of with club soda. Garnish with a cucumber slice or sprig of basil. Place the cucumber slices in a glass jar and pour in the gin. Seal the jar and shake. Let it steep for three days, shaking once a day. Once the mixture has the desired flavor, strain out the cucumber slices and pour the infusion into a bottle. Store as you would any other spirit.